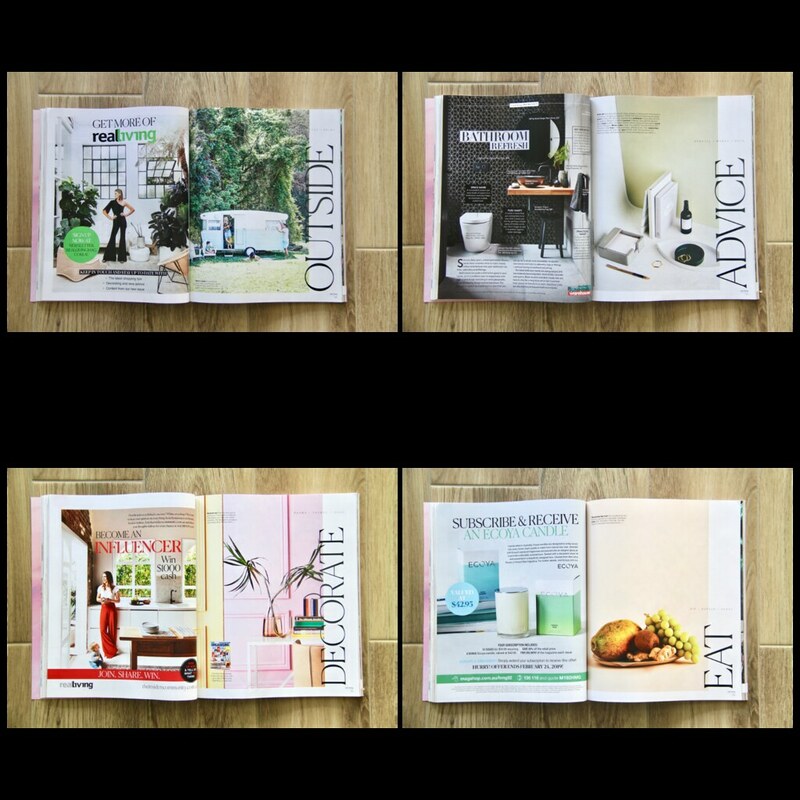 Last night I was browsing through Real Living magazine that had just arrived in my mail box. I got inspired by a layout on few pages especially one in particular. The EAT page on the bottom right. I will put the pictures below. From almost retiring for the day, I decided to make a card using the EAT page as the inspiration. I started with sponging a white panel using Simon’s Melon dye ink using the makeup brush. I love how soft, smooth and even the ink had applied on the cardstock using the brush. Best result with a sponging tool ever! Then I used the large heart die from Simon’s Ornate Love die set to die cut the heart shape at an angle. I also trimmed the panel half an inch on two sides and left it aside to work on the rest of the element. I stamped and coloured the image from an older Simon stamp set called Ready Set Snow. This set is no longer available but one of my favourite set from Simon. 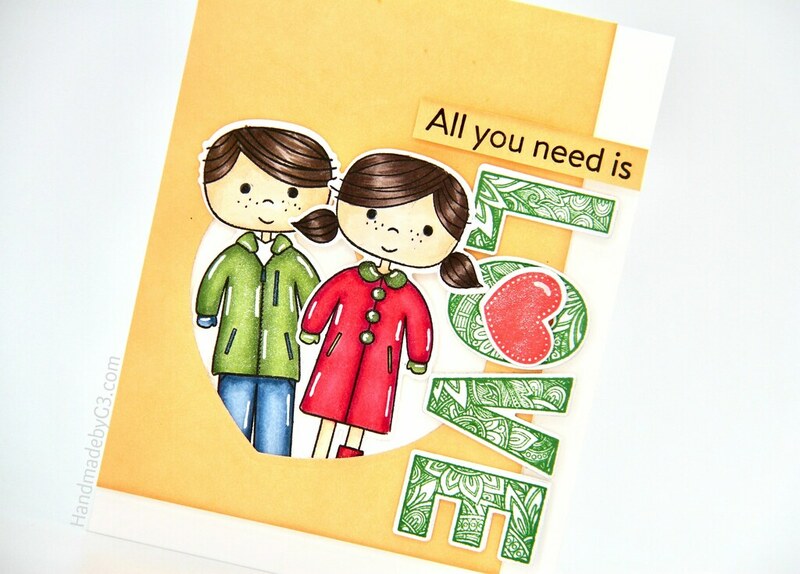 I also stamped the Ornate LOVE sentiment from Ornate LOVE stamp set in Simon’s Fern green dye ink, die cut and stacked glued a few for added dimension. I stamped the smallest heart shape from the same stamp set in Simon’s Lipstick Red dye ink and die cut using the coordinating die. I stamped the secondary sentiment on the scrap piece of cardstock trimmed from the sponged panel in black. I assembled the card using the layout as my inspiration. 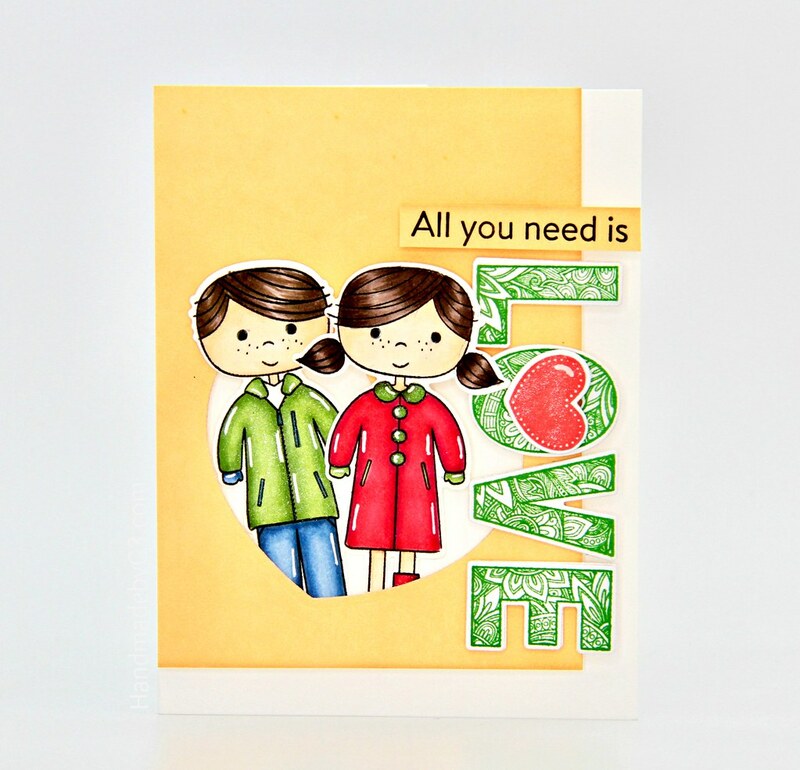 Changed up the focal image by tucking the coloured die cut images inside the heart shape on the sponged panel and switching the orientation of the vertical sentiment to inside of the card. 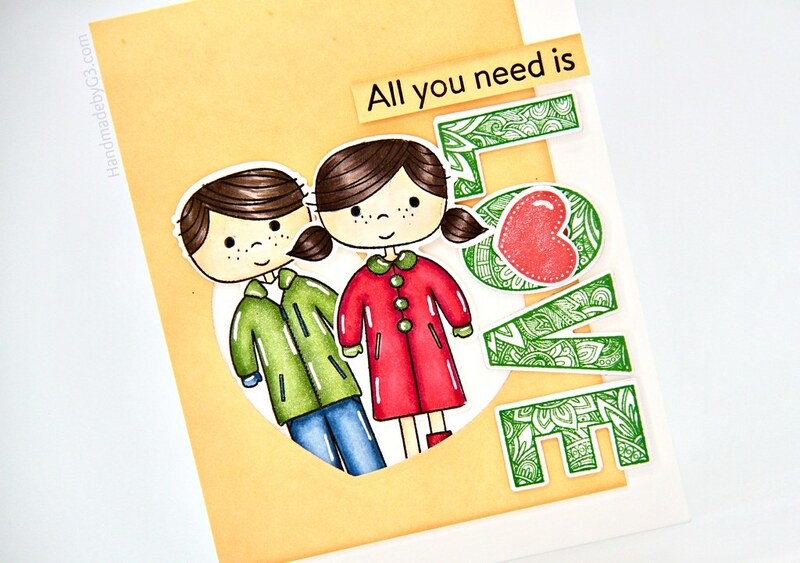 I adhered the red heart die cut on top of the O of the LOVE sentiment die cut and brushed with clear shimmer pen. Then finished off with white pen details on the coloured images. Sometimes I get inspirations all of a sudden from anything like this magazine for example this time. I am so happy I was able to put it into paper and make my own version. To do it quickly without over thinking is an amazing feeling. Hope you like this card as much as I do! Thank you very much for taking the time to visit my blog post today. Have a lovely day! Wonderful to get inspiration from your mailbox, unexpectedly. Really like your colour work. Must go & have a closer look at today’s post to see if any thing jumps out to me. Great idea. Thank you for sharing & inspiring me today.